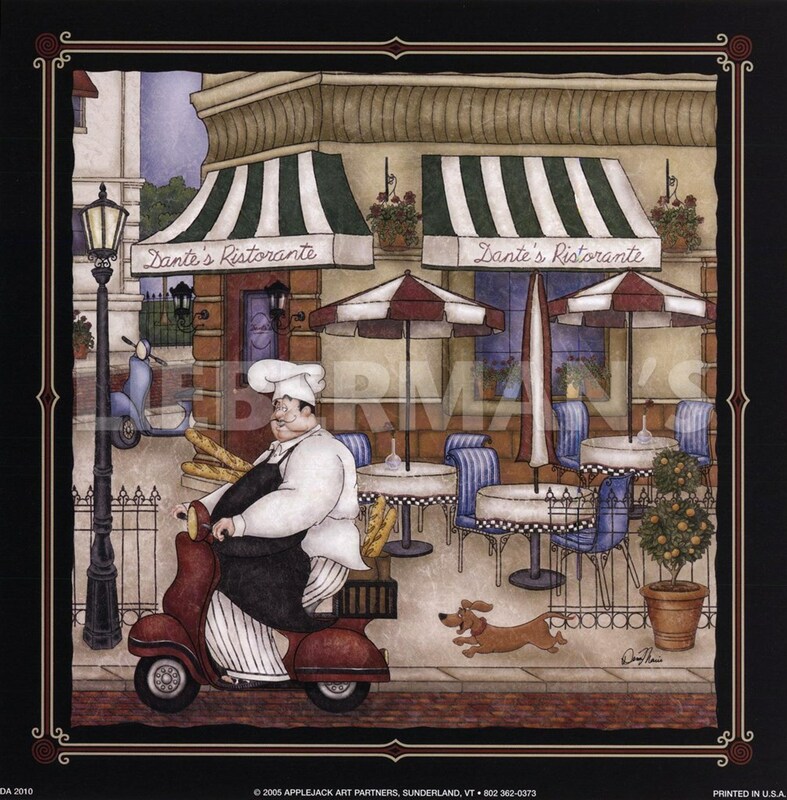 Dante's Ristorante Fine-Art Print by Dena Marie at ChefDecor.com. In this piece of chef art a chef on a scooter rides past Dante's Ristaurante with loaves of bread in his basket. A dog happily races behind him.